The primary objective was to assess the remission rate, and the secondary objectives were to evaluate the early complications and recurrence rate and to define the predictive factors for the remission and recurrence rates. This prospective single-center study included 230 consecutive patients, operated on by a single surgeon for Cushing’s disease via a transsphenoidal endoscopic endonasal approach, over a 6-year period (2008–2013). The patients included in this series were all adults (>18 years of age), who presented with clinical and biological characteristics of Cushing’s disease confirmed based on dedicated MRI pituitary imaging. Biochemical remission was defined as a postoperative serum cortisol level <5 μg/dl on the 2nd day following surgery that required glucocorticoid replacement therapy. The remission rate for the global population (n = 230) with a follow-up of 21 ± 19.2 months concerned 182 patients (79.1%) divided into 132 patients (82.5%) with positive MRI and 50 patients (71.4%) with negative MRI with no statistically significant difference (p = 0.077). Complications occurred in 77 patients with no deaths. A total of 22% of patients had transient diabetes insipidus and 6.4% long-term diabetes insipidus, and no postoperatively CSF leakage was observed. The recurrence rate was 9.8% with a mean time of 32.7 ± 15.2 months. The predictive factors for the remission rate were the presence of pituitary microadenoma and a positive histology. No risk factors were involved regarding the recurrence rate. Whatever the MRI results, the transsphenoidal endonasal endoscopic approach remains the gold standard treatment for Cushing’s disease. It was maximally effective with a remission rate of 79.1% and lower morbidity. 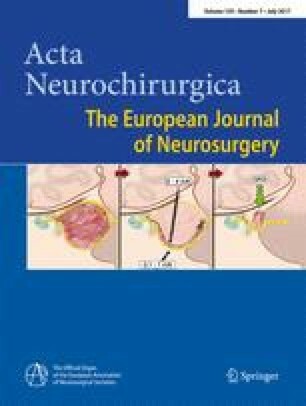 The authors are grateful to Richard Medeiros, Medical Editor of Medical Editing International, for copy editing the manuscript and to Prof. Anheim Mathieu, Professor of Neurology, Dr. Chibbaro and Dr. Spatola for reviewing this article. We are also grateful for the various multidisciplinary discussions regarding these data during the EUROPIT Postgraduate course (2016, Annecy, France), which helped with the interpretation of our results. No funding was received for this research.